The law is already in force in Connecticut, Texas, Virginia and New York. The recent addition is California. The law is being considered in about a dozen other states as well - the breast density notification law. It implies women who undergo mammogram will receive notification of their breast density as part of mammography test results. It has been made mandatory with a view to raise awareness as breast density ranks number 2, next only to age as a risk factor for breast cancer in women. Way back in 1970s the association between breast density and the potential risk for breast cancer was established. Hence, it is indeed imperative for women to gain awareness about breast density. Awareness works as a precursor to seek medical attention without delay. Here is a guideline for women on every aspect of breast density, breast density categories, and reasons for breast density to be considered a risk for breast cancer and also about breast density tests. Breast density is the ratio of tissue to fat in a woman's breast. Glandular or ductal tissue, fibrous connective tissue and fatty tissue constitute the breast. The ratio of each of these tissues varies in women. If the fibrous connective and glandular tissue is more than fatty tissue, the breast density is high. Research is still on to find what causes the difference. But to a large extent genes determine breast density. There are other factors like stages of life (hormones), ethnicity, body mass index, age at first childbirth etc that impact density of breast. Women's breast density isn't static. In a woman's life span, breast density usually decreases with age. But a certain section of women have breast tissue that remains dense throughout their life span. Breast density is categorized using the BI-RADS (American College of Radiology Breast Imaging Reporting and Data System) scoring method. Based on the proportion of tissue to fat breast density categories are of four levels. BI-RADS 1: Entirely fat (Glandular tissue is less than 25%). BI-RADS 2: Scattered fibroglandular tissues, ranging from 25%-50% of the breast. BI RADS 3: Heterogeneously dense, ranging from 51%-75% of the breast tissue. BI RADS 4: Greater than 75% glandular and fibrous tissue. In simple terms, 'very dense' breast point to type 4, 'moderate' or 'somewhat dense' point to type 3, 'moderately' or 'somewhat fatty' point to type 2 and 'somewhat' or 'partially fatty' point to type 1. It is natural for younger women to have denser breast tissue. With age, breast density does decrease as the process of aging makes the breast tissue more fatty over time. Also, having dense breasts does not necessarily correspond to risk of developing cancer. Here are some instances. Breasts may feel more lumpy or tender at different times of a woman's menstrual cycle, the effect of hormonal changes. Nearing menopause, women tend to lose tissue and fat in their breasts. The breast size may become smaller and also feel lumpy. During pregnancy, a woman's breasts may feel lumpy as the glands that produce milk tend to increase in number and get larger. While lactating, a woman may develop a condition called mastitis. The breast may appear red and feel lumpy. Taking hormones, hormones replacement therapy, birth control pills or injections might make the breasts denser. Breast density may also be due to benign growths within the breasts. Some may be harmful that requires a surgical procedure or some may be classified as a benign disease within the breast. Healthy glandular breast tissue may also be a reason for breast density. 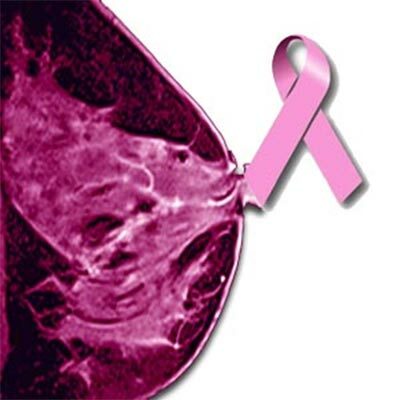 Lastly, breast cancer can also be a reason for breast density. Breast biopsy helps doctor determine course of treatment. Menopausal women are at greater risk of developing breast cancer. Women over 40 years of age can discuss with the health care provider and decide on an annual or once in two years mammography or mammogram screening. Person-specific risk factors are evaluated before recommending an annual or periodical mammogram screening. Mammograms save life. It is valuable to know if a woman's breasts are dense. Mammography is the only effective imaging screening test available to detect early stage breast cancer, especially when there isn't any symptom or sign. In the absence of a standard measure to assess breast density, healthcare providers use mammography results to analyze breast density. Though studies have shown that ultrasound and magnetic resonance imaging (MRI) can help find breast cancers that can't be seen on a mammogram, both may not be covered by insurance. Mammograms use x-rays to create an image of the breasts. On the x-ray, fatty tissue appears dark and dense tissue appears white in color. It is the white area that suggests of possible cancerous spots. Besides conventional mammography, new methods available include digital mammography magnetic resonance imaging (MRI), positron emission tomography (PET) scanning and diffuse optical tomography which uses light instead of x-rays to create pictures of the breast. Women with dense breasts are considered at higher risk of developing breast cancer. Dense breasts almost double the possibility. It could be in the same breast or in the surrounding lymph nodes. Because dense breasts decrease the sensitivity of mammogram, the cancer can be harder to spot on a mammogram. Further, the density creates a beneficial situation for epithelial cells (the cellular tissue lining the milk-producing ducts of the breast) to transform into cancer cells. Terms such as 'heterogeneously dense or very dense' or 'extremely dense' in a mammogram report indicate dense breasts. With these terms confirming breast density, the healthcare provider may immediately call back for additional images or to undergo a biopsy. The radiologist may also want to obtain more images of the breast using a different method. It may take 8-10 years for the cancer to develop. Cancer is largely a preventable disease. What can women with higher breast density do to lower risks of breast cancer ? They can incorporate lifestyle changes, take precautionary methods and follow certain medical guidelines. Limit or avoid intake of meat and processed foods. Use a headset instead of holding the phone right next to the ear. Do not carry cell phone in such a way that it is direct contact with the skin. Consider texting instead of talking on the cell phone. Don't skip or postpone recommended monthly self-breast examinations and the yearly mammography and clinical exams. Ensure prior mammogram results are made available to the health care provider every time. Choose a facility which specializes in breast imaging with experts in the field. First Published Date: 3 Dec 2012 Last modified Date: April 23 2019 This page may have been updated recently as new information is available or the content may have been edited for better readability.